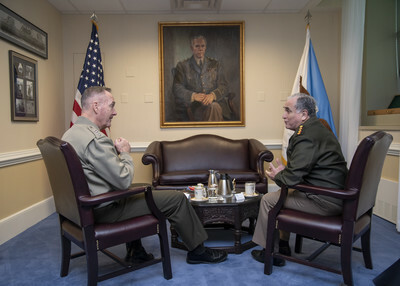 Gen. Dunford congratulated Gen. Sosa on his induction into the International Hall of Fame at the Army’s Command and General Staff College. The two senior leaders discussed areas of shared interest, including regional security issues. They also discussed ways to expand and strengthen the bilateral military relationship.